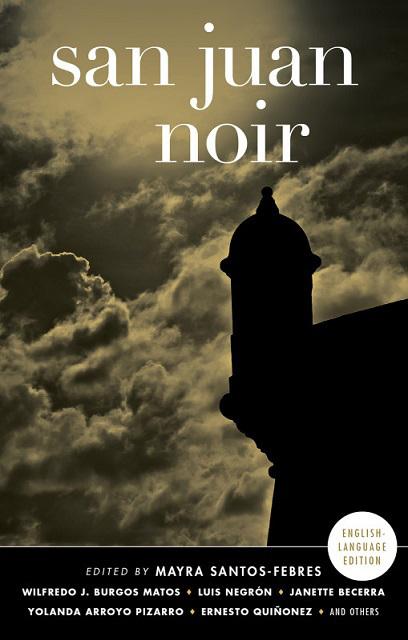 San Juan Noir | Loisaida Inc.
San Juan Noir is an unprecedented volume of contemporary Puerto Rican fiction edited by renowned author Mayra Santos-Febres, creator of Puerto Rico’s Festival de la Palabra which its New York edition will be celebrated at Loisaida Inc. Center this same weekend. She’ll be attending this special New York City launch, alongside anthology contributors Charlie Vázquez, Wilfredo Burgos Matos and Manuel Meléndez—as part of Festival de la Palabra. This will take place at the Loisaida Center on Friday, October 28th at 7:00p.m. Publisher Akashic Books will be on-hand to sell both Spanish-language and English-language copies of this breakthrough volume of Puerto Rican crime fiction, which features writers from the island and the diaspora. The Loisaida Inc. Center is located at 710 E 9th Street, NY, NY 10009. This entry was posted in 2016, Book Readings, Books, Caribbean, Education, Events, Festival, Partnerships, Past, Uncategorized. Bookmark the permalink.